If you love cilantro, maybe you might want to swap it for papalo. Never heard of it? No problem. Read on to to discover everything you need to know about this heat-loving Mexican herb. Hailing from the fields of central and South America, papalo (pronounced PAH-pa-low) is the cilantro alternative you should be considering adding to your herb shelf. Explore the uses and health benefits of papalo right here. Papalo, also known as “summer cilantro” because of its tolerance for heat, is a type of herb that originates in South America. The name “papalo” comes from the Nahuatl (Aztec language) word for butterfly, with this derivation stemming from the fact that the flowers of the papaloquelite provide nectar for butterflies. It’s also known as “skunk weed” and “buzzard’s breath” due to the bitter taste that the herb takes on as it ages. Papalo has an enormous range of culinary uses, and it’s regularly used as an addition to salads, salsas, fish dishes, and guacamole. If you’re not a fan of cilantro, you’re not alone: Some people are genetically predisposed to perceive the soapy-flavored aldehydes in cilantro leaves. In fact, there’s even a website just for cilantro haters called ihatecilantro.com. Fair warning for anyone who’s looking for a cilantro alternative, though: papalo still packs the soapy punch that turns so many people off cilantro. Papalo’s unique flavor has been described as a cross between lime, arugula, mint, and cilantro, while lots of people say that this pungent herb smells a little too much like laundry detergent for comfort. Put it like this: it’s an acquired taste. Papalo’s flavor is actually stronger and longer-lasting than true cilantro, so when you use papalo as a cilantro alternative, be sure to use only 1/4 to 1/3 of the recipe’s normal cilantro quantity. If you can’t stand the soapy taste of cilantro, papalo probably isn’t the cilantro alternative for you. However, if you’ve run out or you just can’t find cilantro in any of your local shops, papalo could be a fantastic cilantro alternative. What are the health benefits of papalo? Papalo is used as a traditional folk remedy across South America. 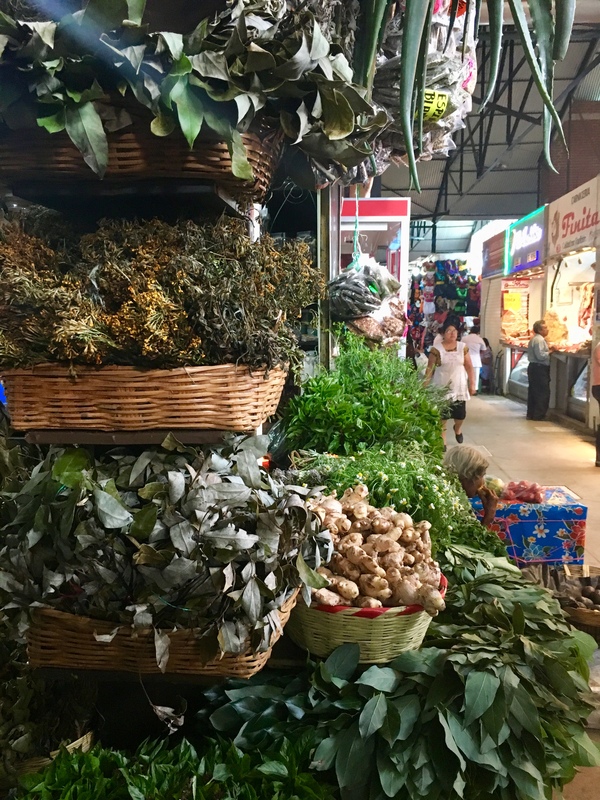 In Mexico, South America, and Central America, Papalo’s leaves and flowers are used to treat high blood pressure, stomach disorders, and infections, while in Bolivia, its leaves are used by the Chacobo Indians to reduce swelling. Before you get your hopes up, it’s important to remember that no clinical studies on papalo have ever been conducted, so it’s best to take these reported health benefits with a pinch of salt. All that being said, there’s probably nothing wrong with adding papalo to your diet, and it’s almost certainly a healthier alternative to salt, if you’re adding it to your dishes for flavor. So, while papalo may not be the miracle herb the old wives’ stories would have you believe, introducing natural herbs like papalo to your diet is generally a step in the right direction. Of course, you could consider growing it at home, although it’s worth remembering that papalo can be difficult to direct sow, as the herb has a relatively low germination rate. It takes around 80 days to harvest and grows relatively tall, giving you plenty of herb for your money. Seeds are easy to buy online, so if you’ve got a hankering for papalo but can’t find any Mexican markets nearby, this could be the best way of ensuring a steady supply of everyone’s favorite cilantro alternative! When it comes to cooking, papalo is best used fresh or added to your dish as a seasoning. You shouldn’t really cook papalo, and it’s much better when added as a last-minute garnish. Preparation is easy: just chop the leaves up to enhance the flavor and sprinkle over your dish. You can also chop up the stem and serve it with the leaves. Papalo is a fantastic accompaniment to lots of different dishes. One of the most famous is the cemita, a Mexican sandwich stuffed with avocado, meat, cheese, and onions. Let’s be honest, it’s probably not the healthiest, but for cheat days or just pigging out, it’s a must-try. Feel like adding a bit of papalo to your dishes this summer? For anyone looking for a pungent cilantro alternative, it could be an inspired choice.